The motorcyclist who died was identified by the coroner’s office in Sacramento as John Reed, age 54. He was initially found lying in the street, prior to being declared dead at the scene. The motor vehicle driver remained on the scene. Authorities reported the driver was not under the influence of drugs or alcohol. An investigation is currently being conducted as to why the crash occurred. Police are asking witnesses or anyone who may have video footage capturing the motorcycle collision to contact them. It usually takes authorities about two weeks to release a traffic incident report. The size of the motorcycle: The size of the motorcycle makes it harder for a motorist to see. The motorcycle is easily obscured by other vehicles. 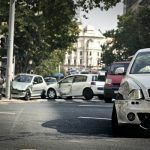 Roughly 70 percent of accidents occur at intersections when a larger vehicle is turning. 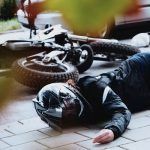 In such cases, the low conspicuity of the motorcycle can lead to a fatal motorcycle crash. Lack of motorcycle riding skills: Riding a motorcycle is much more difficult than driving a car. It is important to learn how to exert control when riding. Braking and other aspects of riding a bike are different, and learning these skills before heading out is essential. Speed: At higher speeds, injuries are greater. In addition, as the speed increases beyond a certain point, wobble may set in. This is usually due to an imbalance between the front and rear tires. If this leads to an accident, the manufacturer may be liable. Open car doors: A major source of fatal motorcycle crashes occurs when a parked motorist opens their car door in front of an approaching bike. Without warning, the motorcyclist has little room for evasive maneuvers. Hitting a car door can throw the biker onto the pavement, making them a target for other passing vehicles. 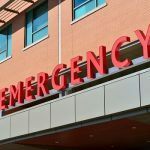 Hitting the pavement can also end in serious injury. Drunk or impaired bikers: As with other vehicles, the number of impaired motorcyclists has increased. It causes about 50 percent of all motorcycle/vehicle crashes. Get the right size motorcycle: It is important to choose a motorcycle that fits you physically. When seated, the rider’s feet should be in firm contact with the ground. If not, the saddle may be too high. Handlebars should be within easy reach and feel comfortable. Buy a helmet: The chance of traumatic brain injury is drastically reduced by using a helmet. In addition, it is illegal not to. The helmet should fit properly and conform to federal standards. Keep up on your skills: Even for seasoned motorcyclists, it is important to test your skills. Taking a Motorcycle Safety Foundation course will help. Buy a bike with antilock brakes: Your chances of a fatal motorcycle crash is reduced by about 70 percent with antilock brakes. Be alert to other vehicles: Watch out for drivers who are distracted and changing lanes. Also, don’t follow a vehicle too closely, so there is plenty of room to get out of the way. Dress appropriately: Wear gear that protects you. Heavy cloth or leather jackets, long pants and boots offer the most protection. Look out for hazards: Since a motorcycle is not as grounded as a car, it is vital to check for road hazards. These include potholes, sand and wet leaves that can cause the bike to slide. Beware of wet weather: Wet weather can reduce visibility and reduce tire grip on the road. Watch out for wind too, particularly around big vehicles or in open spaces. I’m Ed Smith, a Sacramento motorcycle accident lawyer. 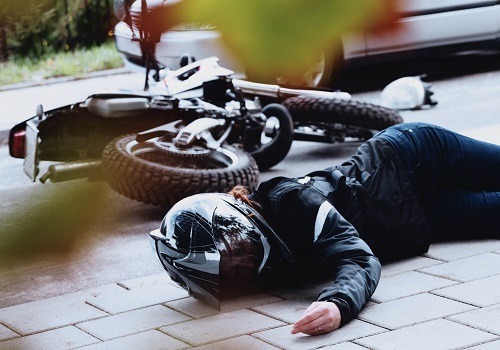 Being involved in a fatal motorcycle crash can have a devastating impact on your family. 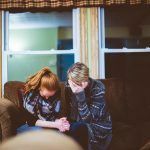 A loved one’s death can throw your family into a sea of grief and financial peril. It is important to consult an attorney to obtain compensation. Call me at (916) 921-6400 or at (800) 404-5400 to hear my free and friendly advice. You can reach me online too. I’ve helped numerous clients in the past 37 years in car accidents, brain trauma and wrongful death cases. National Association of Distinguished Counsel: This group honors those lawyers whose practice displays the use of legal excellence. Million Dollar Forum: This organization allows members who win more than $1 million for a client.